Lehká zdvihátka tyček ventilů 29 mm 98 gramů + olejový kanálek 8ks. Při stavbě race motorů je velmi důležitá volba zdvihátek nejen v materiálu, ale také v povrchové úpravě a také musíte zvolit daný rozměr. Zdvihátka zde uvedená, jsou vyrobena z jednoho kusu hliníku, chrommolybdenu a proto mají menší hmotnost a jsou odolnější pro vysokou zátěž a vyšší otáčky motoru. Navíc jsou vybavena na dosedací ploče přídavným, olejovým kanálkem, který umožňuje tlakové mazání mezi zdvihátkem a vačkou. Pro mírné vačkové hřídele, jsou určena zdvihátka 28 mm (standardní rozměr). Zdvihátka (30 nebo 31 mm) jsou přesunuta do vyšší oblasti. Lightweigt lifters 29 mm 98 gram w/oil hole 8pcs. Lightweight cam follower with oil drilling, when building a faster engine is not only the choice of displacement or camshaft important there is much more to it. 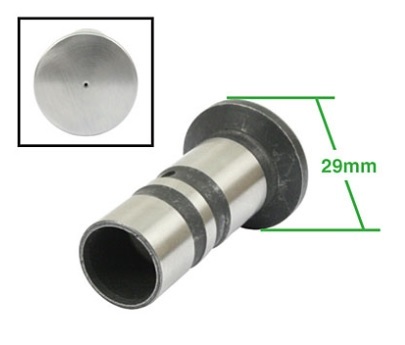 Thus, among others, the cam follower fit the camshaft, not only in material but also in large, the sharper the camshaft greater the surface of the cam follower should be. For a mild camshaft you can easily do with a 28 mm cam followers (standard dimensions ) but in a wild camshaft can Surfacing too small and must be moved to a larger area (30 or 31 mm). We strive as much as possible to save some do not is to not be put in motion resulting in more power weight. The cam followers mentioned here are manufactured from one piece of aluminum chromium molybdenum, roads thereby lighter (original 98 grams) and are also stronger. Additionally they are equipped with an additional oil drilling which allows for pressure lubrication between the cam follower and the cam which with increasing speed is no luxury. It is necessary that there is a heavier oil pump is installed, but that choice should already make once you with engine tuning are doing. 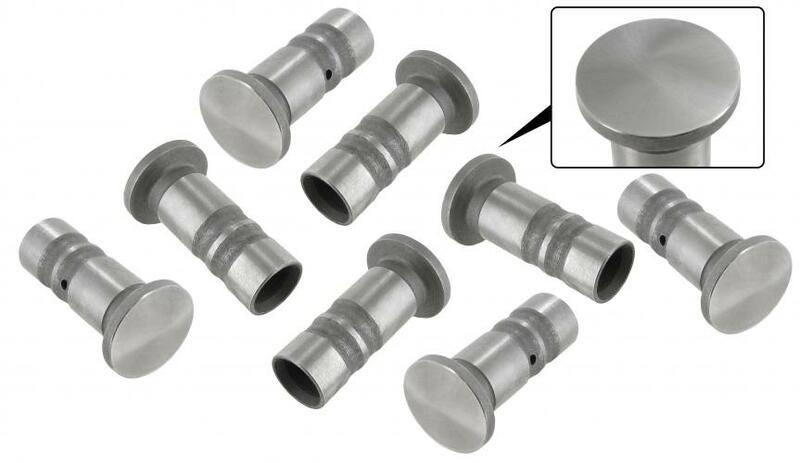 Supplied in sets of 8 pieces.